CQ. is now available in a digital edition as well as the traditional print edition. Find out more details about CQ. Working a major DXpedition is a pretty big challenge for most of us, but that usually pales when compared with the challenges of being on the DXpedition itself. 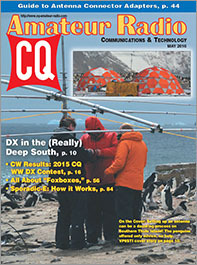 We get details of planning and operating the VP8STI expedition to Southern Thule Island from team co-leader David Collingham, K3LP, in the cover story of the May issue of CQ, "DX in the (Really) Deep South." 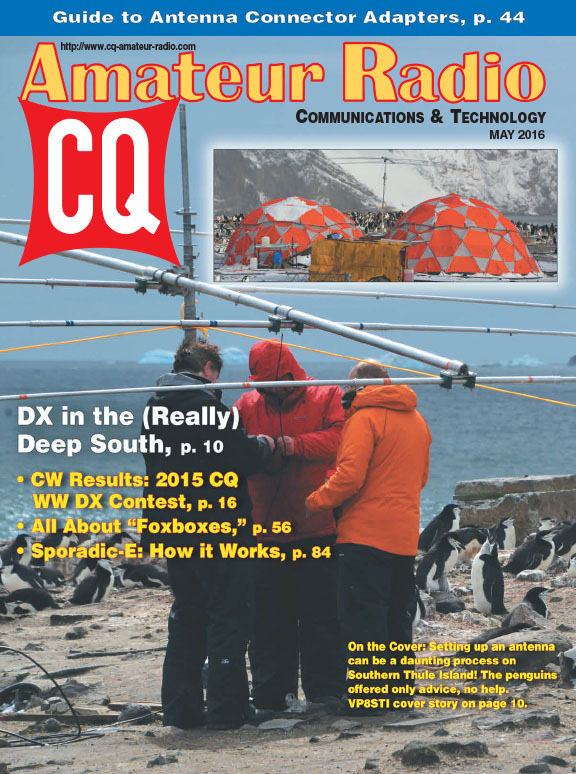 David's story is followed by the CW results of the 2015 CQ World Wide DX Contest, which once again include complete score listings in the magazine. We've also got the rules for this summer's CQ World Wide VHF Contest and Part 6 of our ongoing series on using microcontrollers in your ham projects. Among our columns this month, we look at common antenna connector adapters, getting power from your car battery without popping the hood, "foxboxes" (the hidden transmitter for which "foxhunters" are hunting), a "box of fun" in Kit-Building and a tutorial on Sporadic-E in our Propagation column. All this and more … in the May issue of CQ! 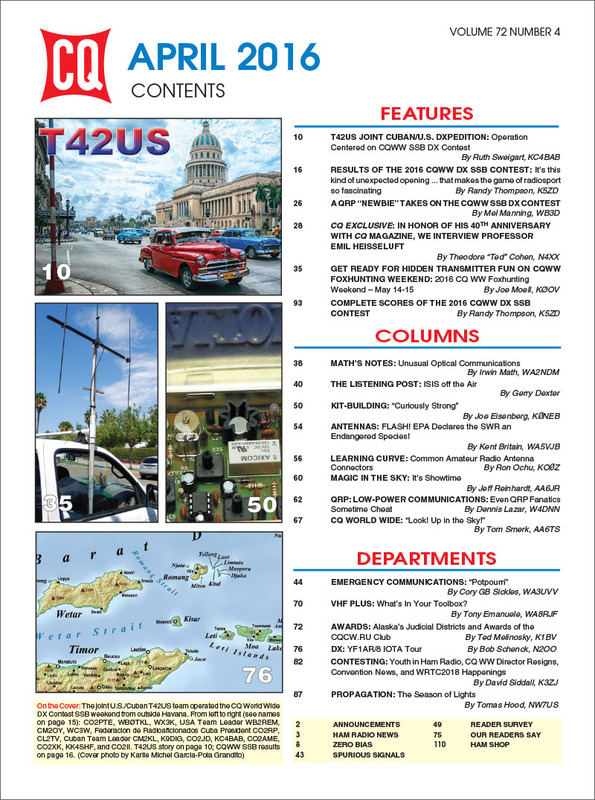 Zero Bias –80 Meters, the ARRL and the FCC's "Error"
On the Cover: Setting up an antenna can be a daunting process on Southern Thule Island! The penguins offered only advice, no help. 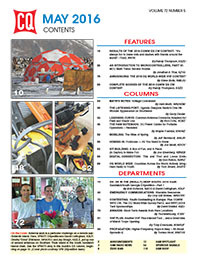 The VP8STI DXpedition is this month's cover story.